National badminton players have successfully performed at the Belarus International 2018 tournament in Minsk, on September 6-9. 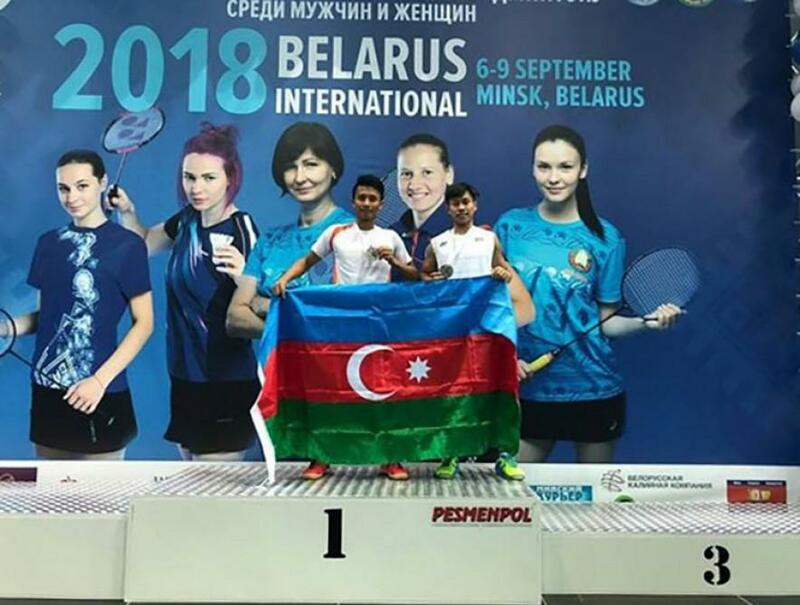 Azerbaijani badminton player Edi Reski Dvichayo who joined the competition from the main stage, won the representatives of Kazakhstan, Finland, India and Poland in the men's personal race towards the end. Dvichayo won the tournament by defeating French Leo Rossini with 2: 1 in the final. National badminton players have risen to the highest step of podium in the men's doubles race. Dvichayo and Ezmi Govimuramadhoni defeated their counterparts from Israel, Ukraine and Poland. At the decisive match, the representatives of national team won a confident victory over French badminton players Leo Rossi and Tomas Baures - 2: 0. Edi and Ezmi are members of the Sabah Professional Sports Club. Earlier, the Azerbaijani pair has claimed a bronze medal in the 4th edition of the Lagos International Badminton Classic (LIBC) in Nigeria.